It is, we are told, an age of bitter austerity, where belts are being tightened with dedication, and services cut with thrifty diligence. There are, however, always exceptions to the rule. The surveillance state needs succour; the intelligence services need their daily bread from the bakers in Downing Street. The dogs of war similarly need to be fed. 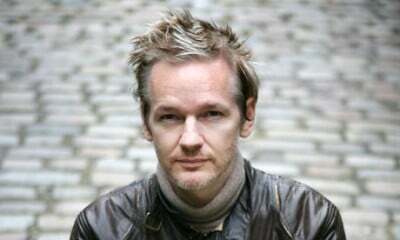 And then, there is Julian Assange. Assange would be pleased to know that he is an exception to the rules of austerity. He figures in a singular category in the book keeping of Her Majesty’s Government. The British security establishment continue monitoring him with eagle-eyes. There are three Scotland Yard officers on the task at any one time. One is stationed at the steps to the Ecuadorean embassy, just to make sure no daredevilry is entertained. As they do so, the bill mounts. The site govwaste.co.uk lists the costs in live time – as at this writing, the amount is 12,173,575 million pounds. Those costs, following accounts from the Metropolitan Police, can be broken down into direct costs – those incurred in the course of normal duties; and opportunity costs, a smaller portion resulting from overtime for being stationed at the Ecuadorean embassy. The site also lists what the equivalent amount might have funded: 60,868 vaccinations for children; 47,740 hospital beds for one night; the salaries for 558 teachers for a full year. As for food, the figure comes to over 10 million meals for the needy. If one is to lose a sense of priorities, join government. The perversions of bureaucracy, dedicated to the protection of the state, allows for some latitude in lunacy. Everything should point to a normalisation of the abnormal circumstances – questioning of Assange by Swedish officials in the embassy itself on unplaced sexual charges, a carrot dangled then withdrawn at the last moment; the application of current laws that acknowledge the invidious nature of the European Arrest Warrant, yet are deemed inapplicable for not being retrospective. Then there is the Australian consulate, like many a satrap, a permanent, even redundant absentee. In reflecting on the cost of the detention, Assange does keep company, in being confined to not so luxurious surroundings, with a still new breed of cyber-publishing activist. There are the exiles, there are the whistleblowers. There are those exposing the Stratfor military complex and the privatised security state. Chelsea Manning remains the most fundamental sufferer here. The issue, as ever, remains the role of information, and where that fits into broader issues of state accountability and transparency. There a strange irony at work here as well. The London Met have formed what effectively amounts to a ring, not so much of steel, as bizarre protection. But what on earth is it against? It is true that Assange, should he step out, will be nabbed – that’s one voice of the law speaking. It is equally true that others can’t get in, be there, friend or foe, to bag and nab. No funny business allowed, thank you. The strange business of walls, with their double meaning – whether they keep people in, or make sure people stay out – is at play. History tends to be, not merely a register of folly and blood, but a register of inane projects. Assange, despite his health, has little desire to leave. Ecuador, in turn, has given him indefinite residency at the embassy. And the age of austerity continues with its exceptions.